Popolo Catering of San Luis Obispo knows just what to cook for a wide variety of clients in the Central Coast of California. Annually, Popolo Catering has been serving up their mouthwatering and famously delicious BBQ meal at the John Wayne Shootout. 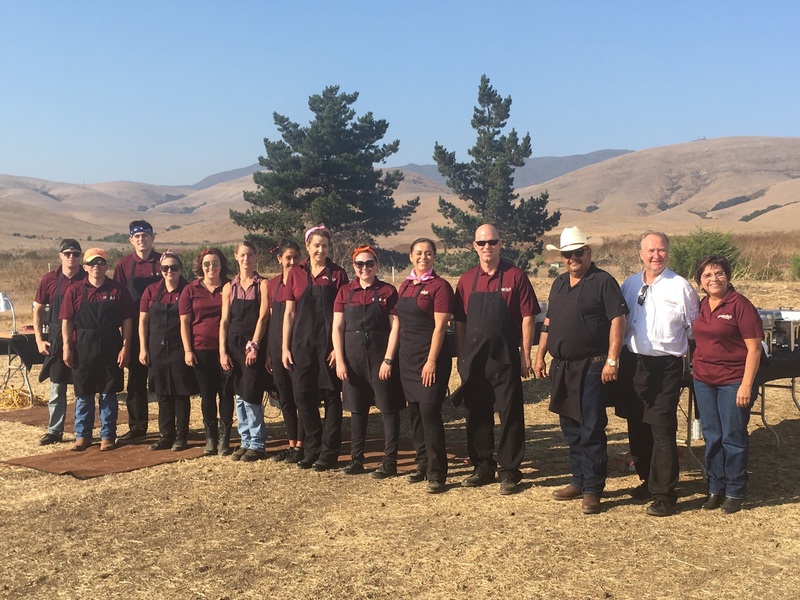 The San Luis Obispo Sportsmen’s Association hosts an annual John Wayne Shootout, Aug. 10-14, featuring cowboy action shooting, and a catered meal from Popolo Catering, San Luis Obispo. Held in the Chorro Valley by the Chorro Valley Regulators, members come dressed up like old western cowboys and cowgirls, to have shootout competitions. The township of Chorro Valley hosts members of the Single Action Shootout Society (SASS), whose families and friends gather to watch the shootouts and timed scenario-based shooting. Participants use firearms that are usually associated with the old west and cowboys of the frontier. Single action revolvers and lever action rifles are just a few of the old guns used during the shooting competition. The scenic location in San Luis Obispo is surrounded by the golden hills and cool ocean breezes, just off Hwy 1. Cowboy action shooting is what the various competitions are all about during this weekend-long event for members. Working up quite the appetite, the mini old west town fills up with 400 hungry cowboys and their families. The attendees are invited to dine on Popolo’s 3 buffet service lines which are full of BBQ prime rib, shrimp scampi, pasta formaggio, and much more. Along with a wide array of beverages, the dessert display of brownies, lemon bars, donuts and freshly baked cookies feeds members who return every year to visit this special place. Held on Aug 12, Popolo Catering comes ready, with three carving teams ready for quick efficient service. The BBQ team from the San Luis Obispo Catering company has a passion for cooking and brings it wherever they are taken. Popolo Catering is known for being very efficient, professional, and organized. The team members can feed 400 people in less than 30 minutes! Previous attendees have stated, “My husband comes for the shootout, I come for the Popolo food. I come looking forward to the Popolo menu every year.” Popolo Catering loves the community, and receives rave reviews every year from individuals attending the shootout. Owners, Leon and Kat Castillo take pride in providing the best-catered food and professional service to their many clients. Popolo Catering knows exactly how to feed the cowboys with this annual event, enjoyed by all who attend. With such authentic replica revolvers such as Colt’s Peacemaker or Ruger Vaqueros, and rifles from Winchester and Marlin, and truly old west attire, the attendees are sent back in time by the Single Action Shooting Society, and fed very well, undoubtedly better than cowfolk so many years ago.